Happy Thanksgiving to all! This Thanksgiving, while your giving thanks for family and friends (and the delicious feast your going to have…), let’s take a brief moment to give thanks to some roller coaster treasures that deserve praise. Some coasters on this list will be well known and some will be overshadowed or looked down upon. Either way, you’ll understand why we’re thankful for these rides. 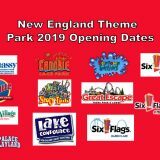 Editors note: Picture credits go to several members of the SFNE Online forum. This post would not have been possible without them! Welcome to New York City. 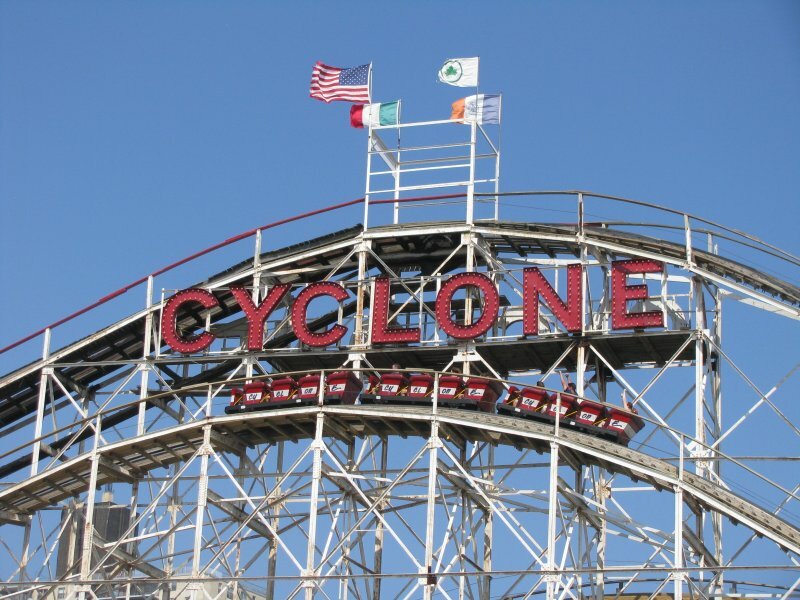 In Brooklyn lies this hidden treasure, the legendary Cyclone. 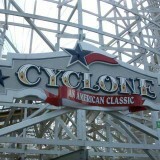 Cyclone is a National Historic Landmark and an ACE coaster classic. 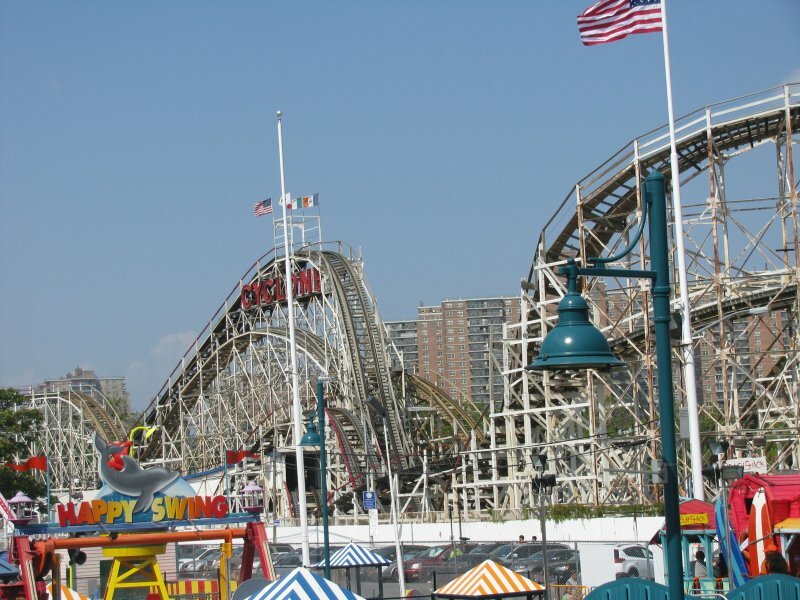 It opened in 1927, the golden years of Coney Island’s Amusement Complex. This masterpiece is a rough, brutal ride with plenty of thrills to boot. Built by Vernon Keenan, it’s survived the risk of being demolished for an aquarium parking lot. Protestors caused Astroland to purchase the ride and re-track the broken ride. When Astroland was sold, the ride was put under operation of Zamperla, who has since retracked the ride with GCI. Many say the ride was highly neutered. On the bright side, and what we’re here to give thanks for, is the original trains and brake system! Cyclone has had the same trains since its been built! They’re like sitting on couches according to many. Next time you visit NYC, I’d recommend riding this colossal wooden giant. It’s history that an enthusiast wants to experience. Thunderbolt is another ACE coaster landmark. Though it may not be the biggest, most thrilling, or smoothest ride, it’s still one of New England’s hidden treasures. Thunderbolt was based on the coaster at the New York’s World’s Fair in 1939. 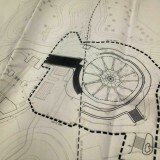 It’s a figure 8 design, similar to the long lamented Whalom Park Flyer Comet. This ride was built by Joseph E. Drambour, and was the only coaster he built. Thunderbolt is one of the very few rides left from Riverside Park. It’s perhaps the chain’s best maintained wooden coaster with a fresh repaint and recent retracking. The ride runs with 3 Bench PTC’s, which create even more of a classic nostalgic feel. Plus, it continues to have skid brakes. At the middle of each season, the park switches the blue train to the maroon or vice versa. 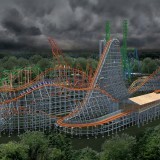 Thunderbolt is now Six Flags New England’s only wooden coaster, as Cyclone is turning into Wicked Cyclone. 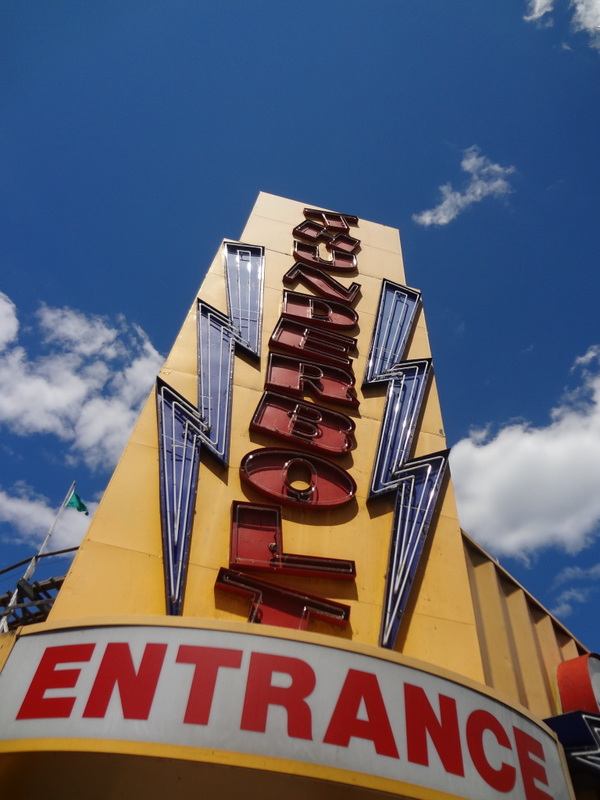 The most loved part of Thunderbolt perhaps is the giant neon sign at the entrance. It’s beautiful entry lighting creates the feel of an amusement park in the 40s or 50s when you’d go, get on a ride, and leave without ever having to worry about the paying the price of admission. 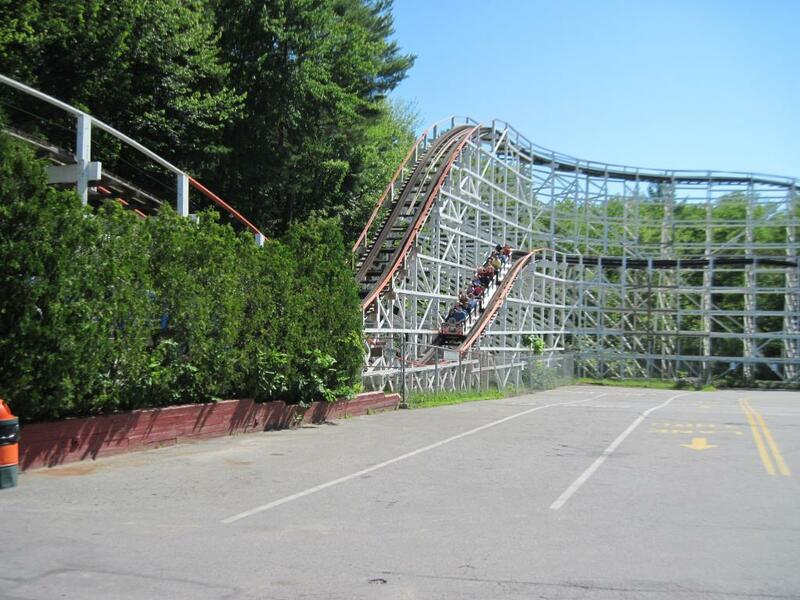 Yankee Cannonball is perhaps the most overlooked coaster in New England. 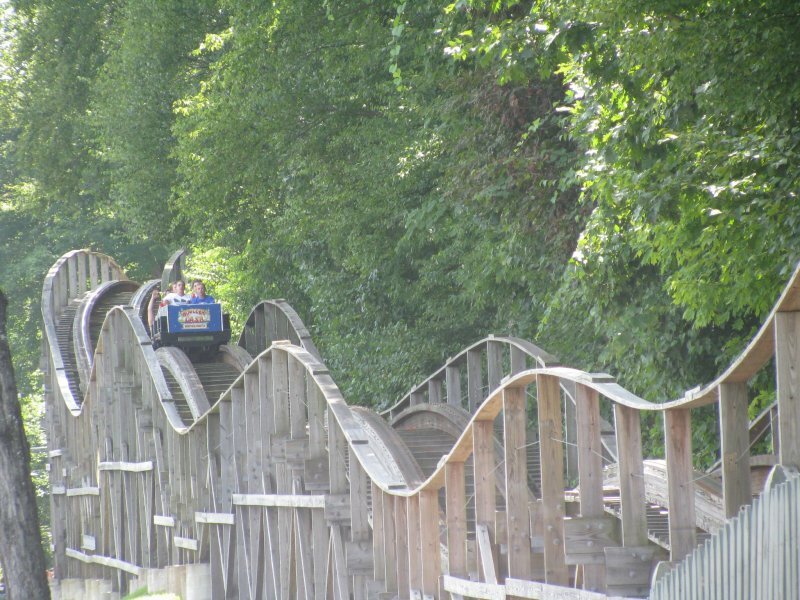 Located in the tiny, but extremely nostalgic, Canobie Lake Park, this wooden coaster is spectacularly maintained. The ride was built in 1936 by Herbert Schmeck of Philadelphia Toboggan Company. It was relocated from a park in Waterbury Connecticut that closed due to the great depression. 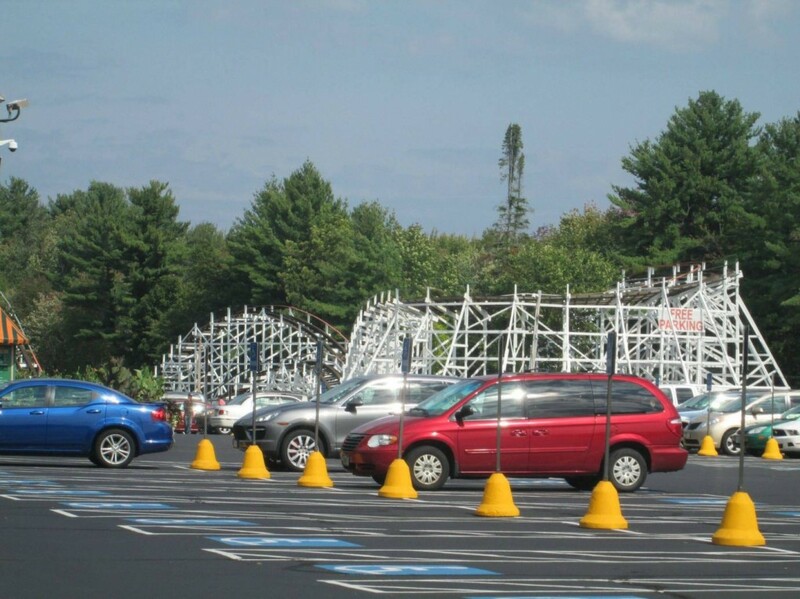 Today, it runs very smoothly with excellent maintenance thanks to Canobie. It runs with 3 Bench PTC’s with buzzbars, and you know what that means… AIRTIME GALORE! Yes, this coaster in definitely the definition of airtime. Every hill will eject you until the final turn. The back seat is known for having brutal airtime. The seatbelt doesn’t do much, so you’ll feel as if your gonna fly out! Yankee Cannonball is another ACE Coaster Landmark. 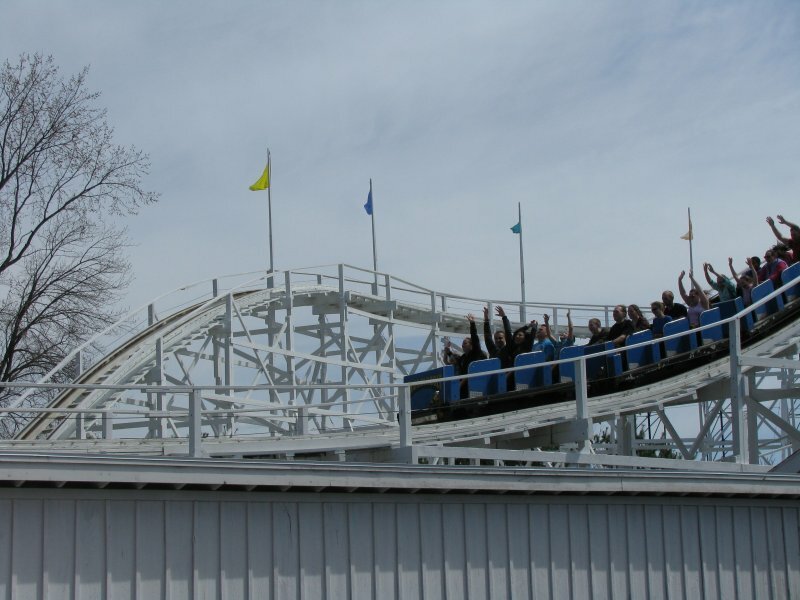 All enthusiasts should go get thrilled by this classic at a one of the country’s best family owned amusement parks! Now heading to Connecticut, be ready to be thrilled by a contraption built in 1927; the classic PTC Herbert Schmeck ride, Wildcat. This ride used to be well known and rather notorious for its roughness. With every drop and curve you would be jolted, smacked, or even thrown out of your seat into the lap bar. Recent retrackings have brought the ride to a much better state. 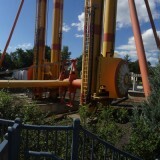 It runs with 3 Bench PTC’s with buzzbars, but rumor is it’ll run with Millenium Flyers in a couple of years. Many complain about the pain they get from this ride. It’s very minor now, so give it another whirl. Lots of classic fun awaits along the terrain of Wildcat. Not all good rides are steel coasters. Not all good rides are wooden coasters. But when it comes to overall fun, Bizarro takes the cake. 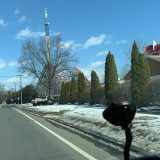 Built in 2000 as Superman Ride of Steel, this Intamin Hyper Coaster is the supreme ruler of Six Flags New England. In 2009, the ride saw a drastic retheme, Bizarro. Not many people love this change as they think it’s made the ride rougher and slower. Even though it’s lost it’s #1 status, Bizarro is still world class, and many argue it still is the world’s best coaster. Its insane airtime and intense laterals provide world class thrills that most coasters simply cannot match. So let’s give thanks that this amazing ride is in our backyard! 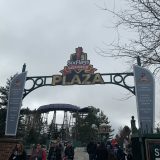 We now travel back to Bristol, Connecticut for arguably the world’s best wooden coaster! The intense terrain coaster, Boulder Dash, will surely bring a smile to your face. Boulder Dash was built in 2000 by Custom Coasters International. The company has since gone out of business, but their coasters still remain legendary today. Boulder Dash is no exception to that tradition. Voted in 2014 as “World’s Best Wooden Coaster!” by the Golden Ticket Awards, Boulder Dash is an insane adrenaline rush through the trees with some airtime and insane laterals! 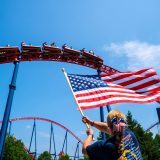 Again, let’s give thanks we have ANOTHER world class coaster in our back yard! Here’s a B&M that people don’t hear much about. Overshadowed by its neighbor, Talon, Hydra is a small floorless coaster that packs an insane punch. Hydra is very unique. 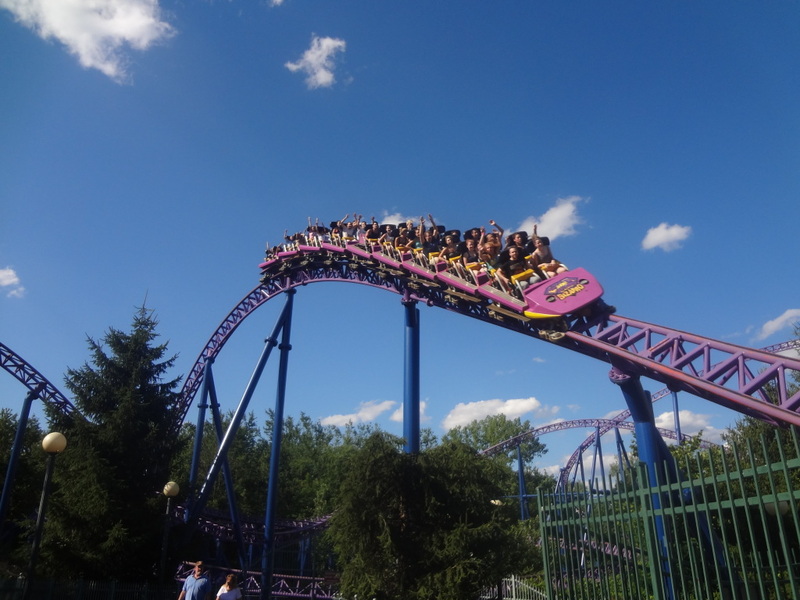 For starters, it’s the only floorless coaster in Pennsylvania! Secondly, the cobra roll has a very tight entrance and exit, which is unusual for a B&M coaster. It doesn’t have the stupid standard B&M chain stress reliever at the top of the hill. And it’s most iconic feature is its jojo roll. The jojo roll is the barrel roll at the beginning of the ride that has INSANE hang time! This coaster is very pretty to look at. Its vibrant blue and green color scheme stands out throughout the park. Many enthusiasts claim this ride to be forceless and boring. I think it’s the opposite. It’s an adrenaline rush hanging on for dear life in the jojo roll. The first drop is very fun and has some nice floater in the back. What do you think? Do you agree with this list? Do these rides deserved to be recognized? Leave your answer in the comments! pension and private-equity funds to supporting the 4.7 trillion tender, the Ball and Post said on Wednesday, citing unnamed people intimate with the talks research paper writing middle school Ordination Information Get on-screen, stepwise statement from a restricted English teacher Its suppositional to be easier the moment time roughly yet, I am not expression this from see, since Ive never through it.